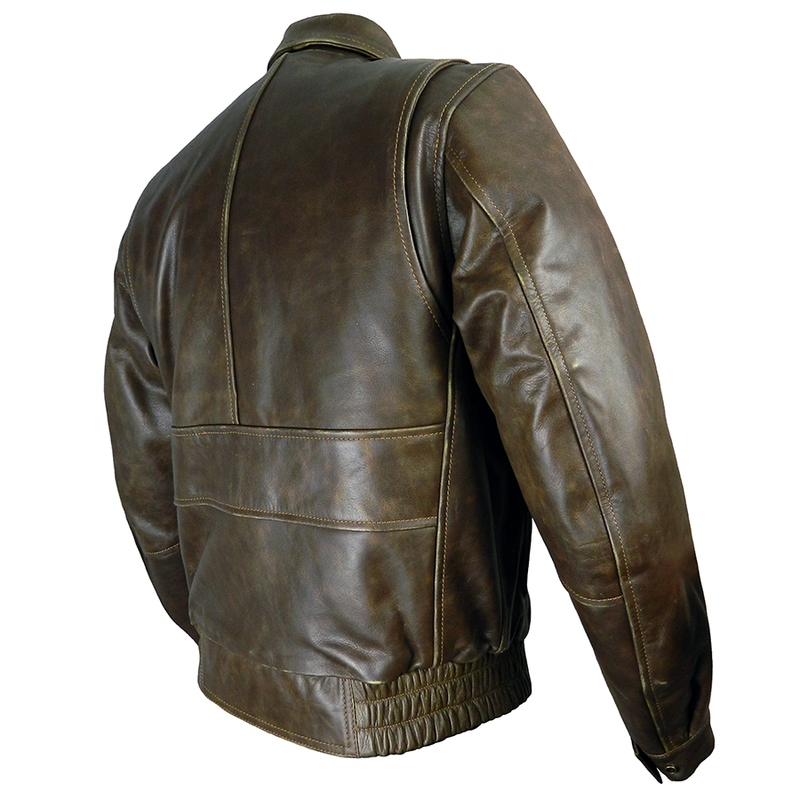 Our replica American Aviator style leather jacket in smart antique brown 1.2 – 1.3mm cowhide with a practical update – leather cuffs and waistband (no wool to wear away). The style features you’d expect are present from the leather pen holder feature on the sleeve to the fixed leather epaulettes on the shoulders. Safety is not side-lined for style. 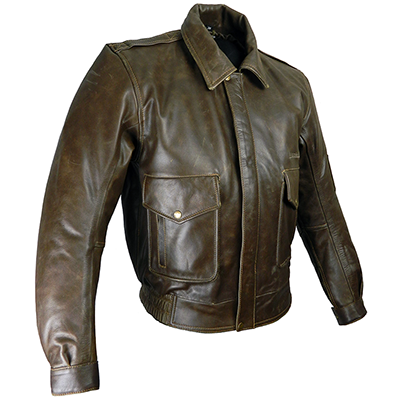 The 1.2 – 1.3mm cowhide is supple enough to be comfortable but thick enough to help protect your skin. The cotton-rich lining supports the leather in the quest to protect your skin by not succumbing to friction melting (in a slide down the road) like other man-made lining materials can. With a thin layer of thermal between the lining and leather. Optional armour is available for the shoulders and elbows. We highly recommend Viscotec CE memory armour with its comfortable feathered edging and impact absorption as it works perfectly with our unique fully adjustable armour system that allows you to place the armour in exactly the correct position for you, getting the best out of it. Practicality is not forgotten either. Being bikers ourselves, we understand that looking good on the bike, while important, is only a third of the story, along with safety and practicality. 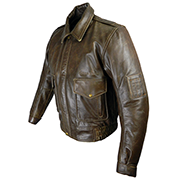 Unlike the original American Aviator jacket, our replica doesn’t have a woolly waistband and cuffs as they can wear out fairly quickly. So we’ve updated the waistband and cuffs to leather. The waistband is still elasticated. External pockets and two internal pockets (one zipped). Leather press studded flap covering the main YKK zip. This is a popular leather motorcycle jacket for the biker who prefers a more laid back look without compromising on quality and safety. "Fantastic jacket and great fit.” – Paul, Lancashire. 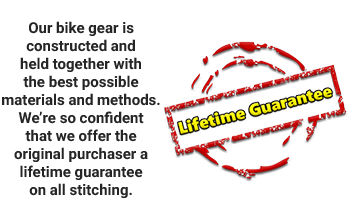 “If you want the aviator style this is the best you can get and others are 3 times the price.” – Kevin, Shrewsbury.